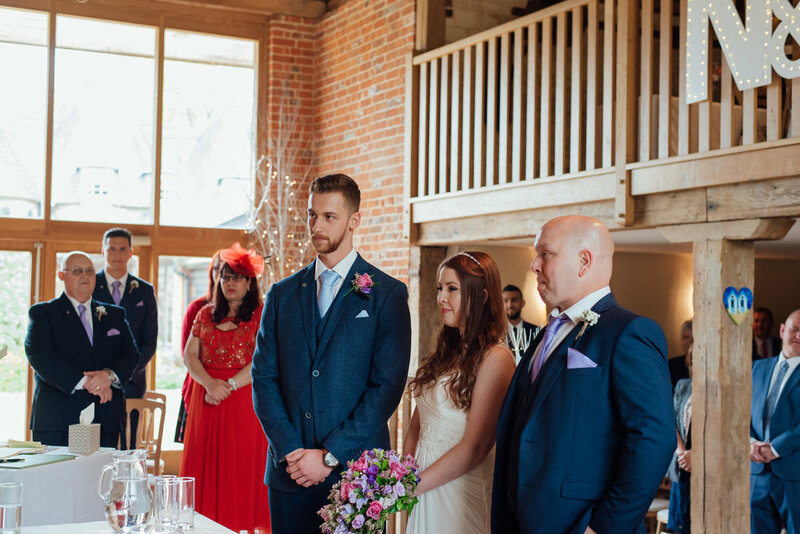 Nicole and Anthony tied the knot at the BEAUTIFUL Bury Court Barn Wedding Venue in Hampshire. 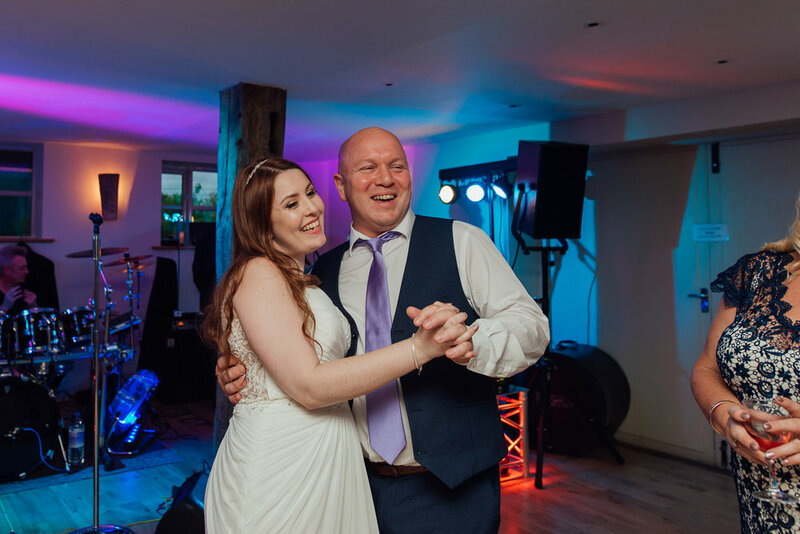 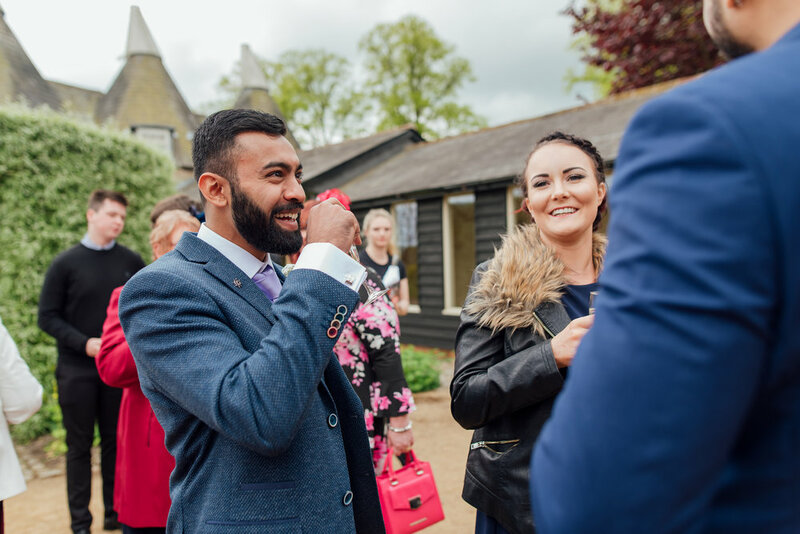 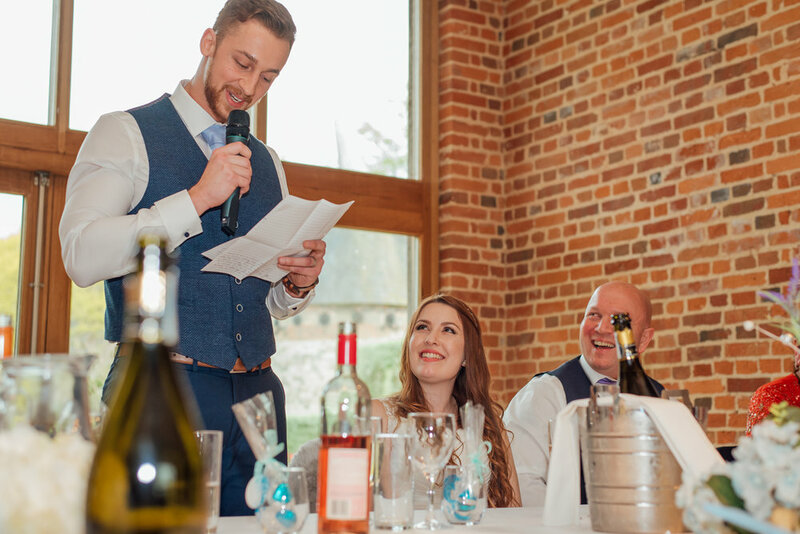 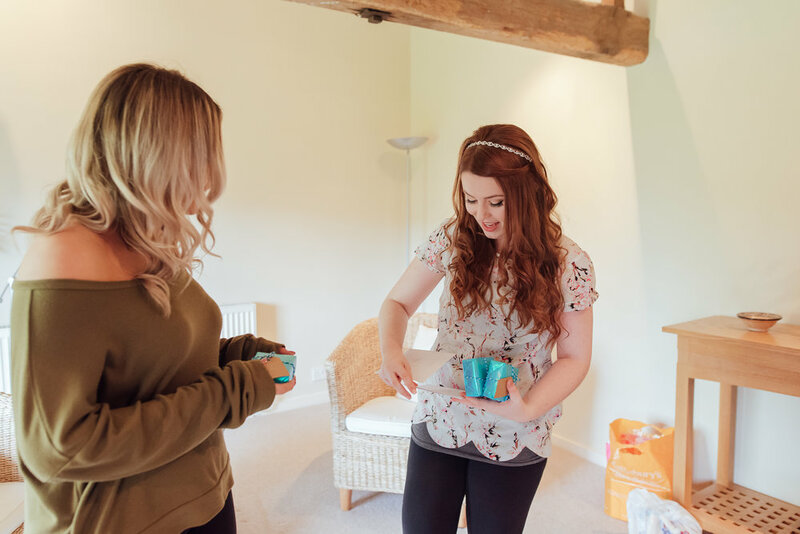 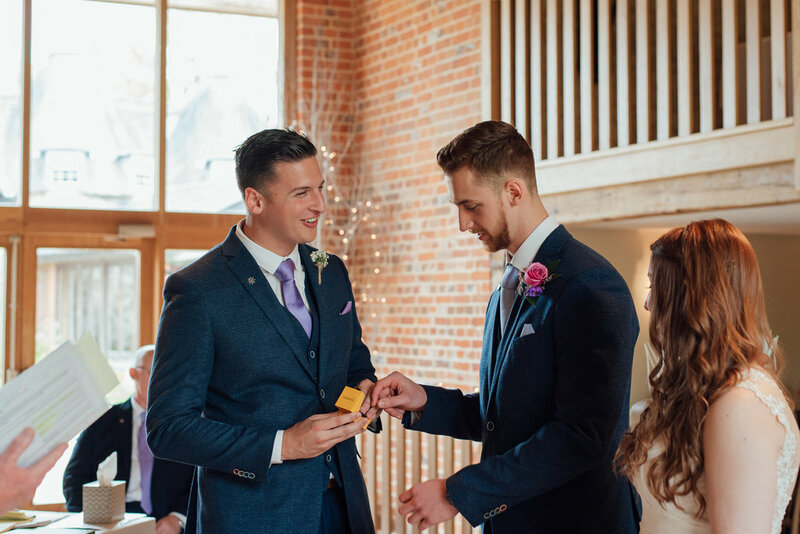 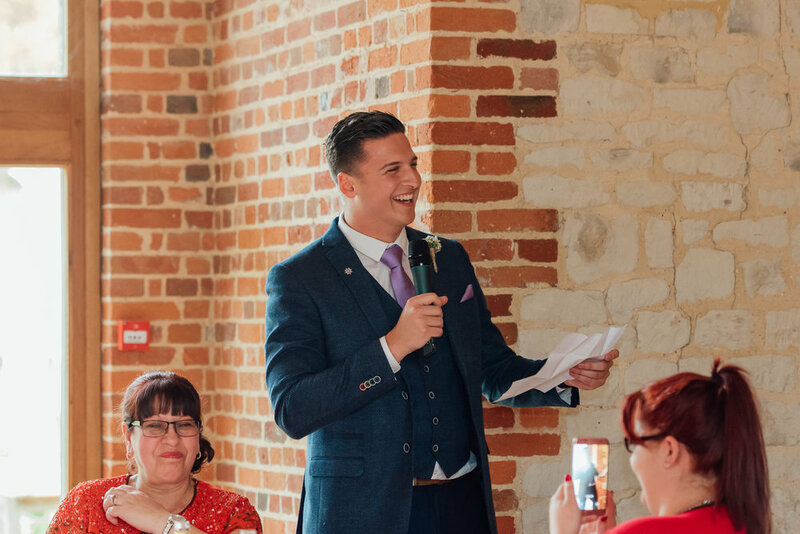 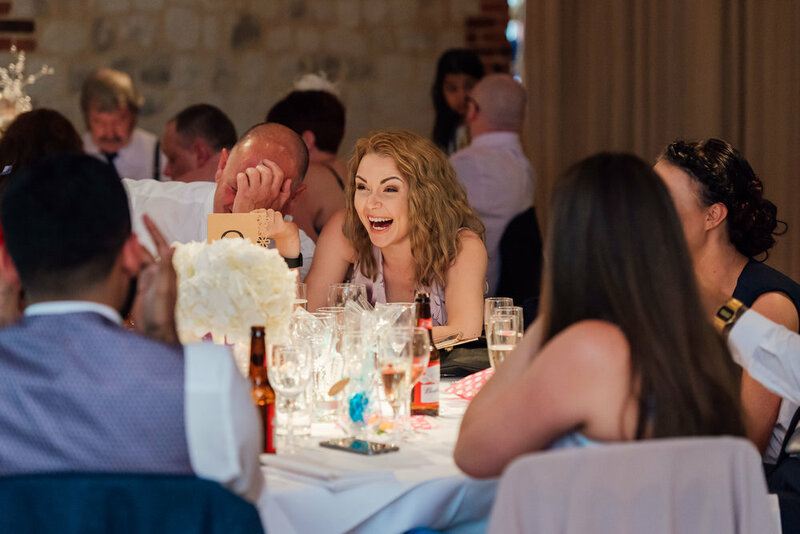 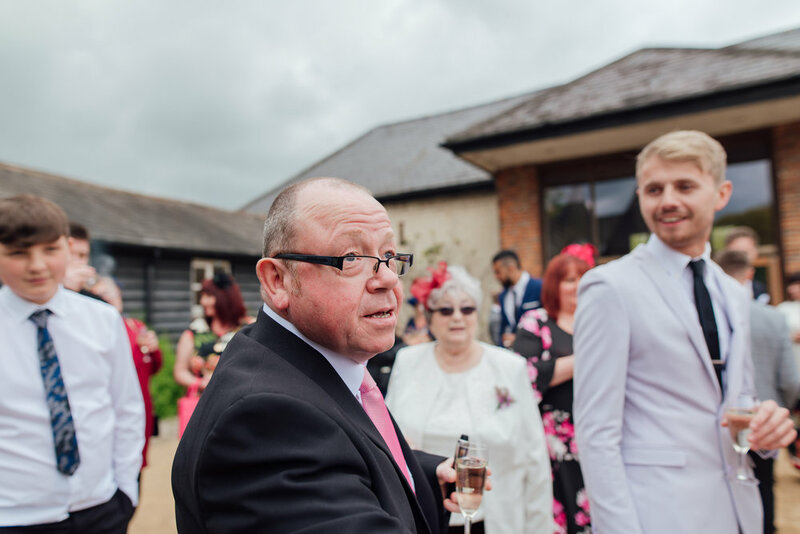 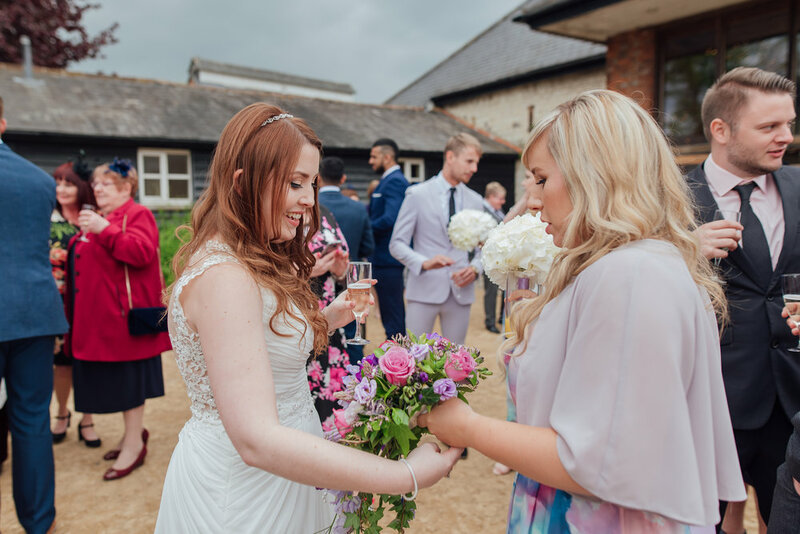 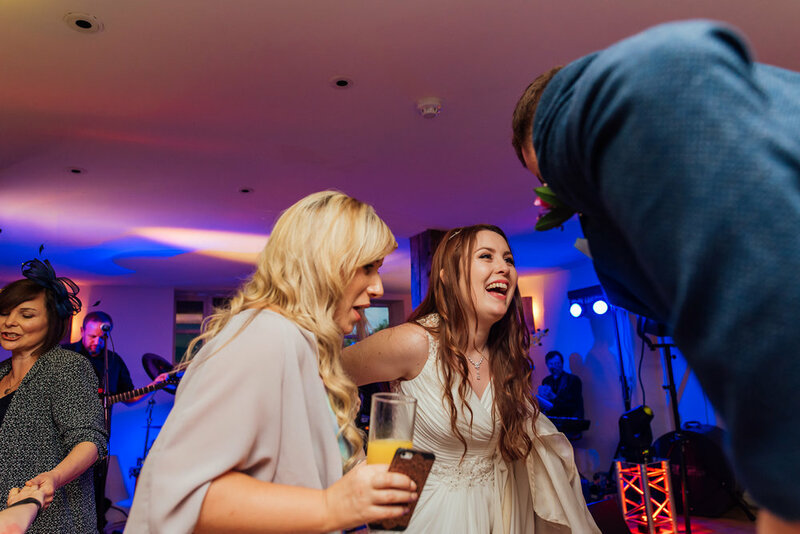 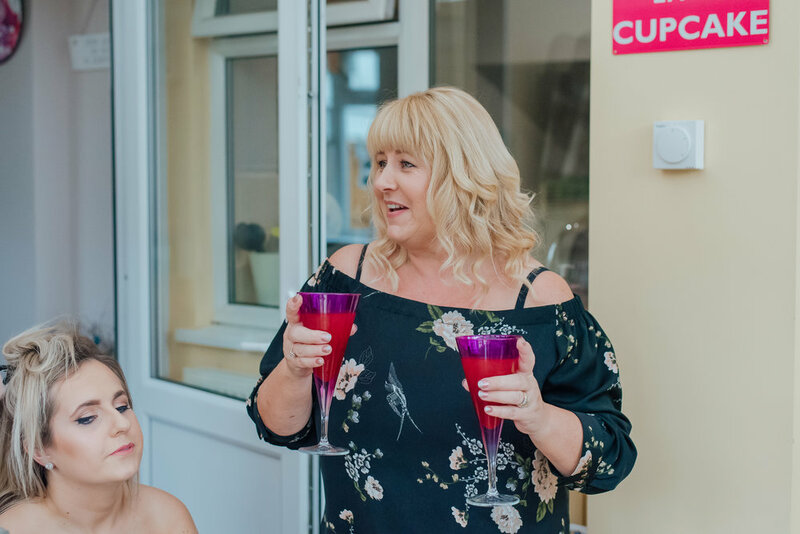 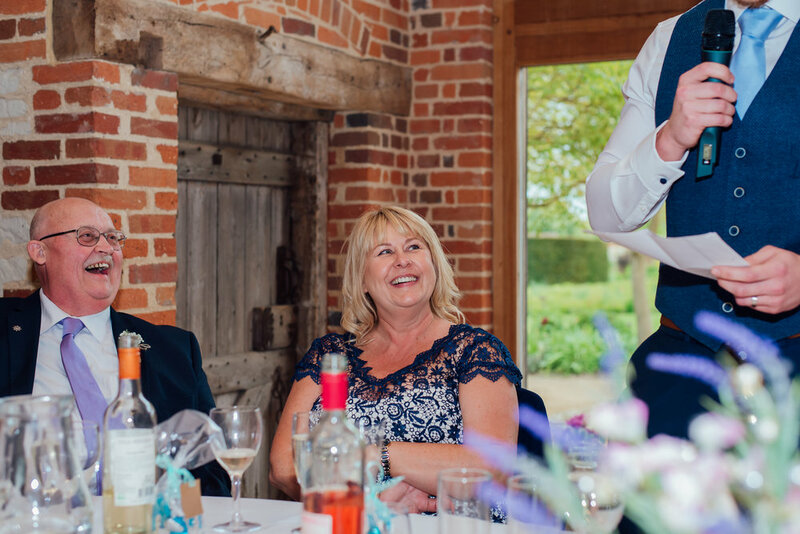 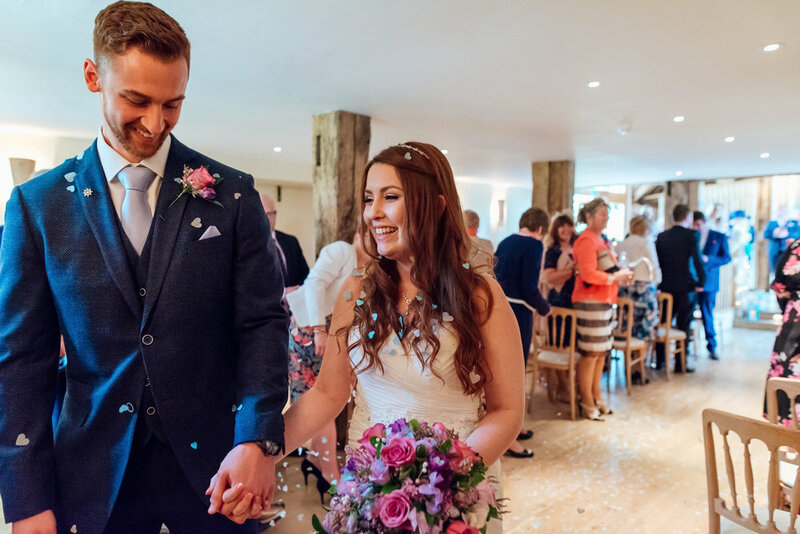 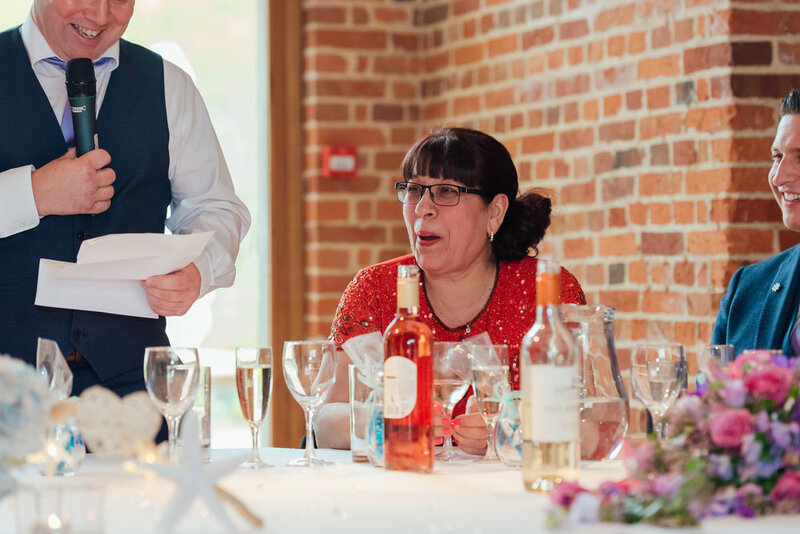 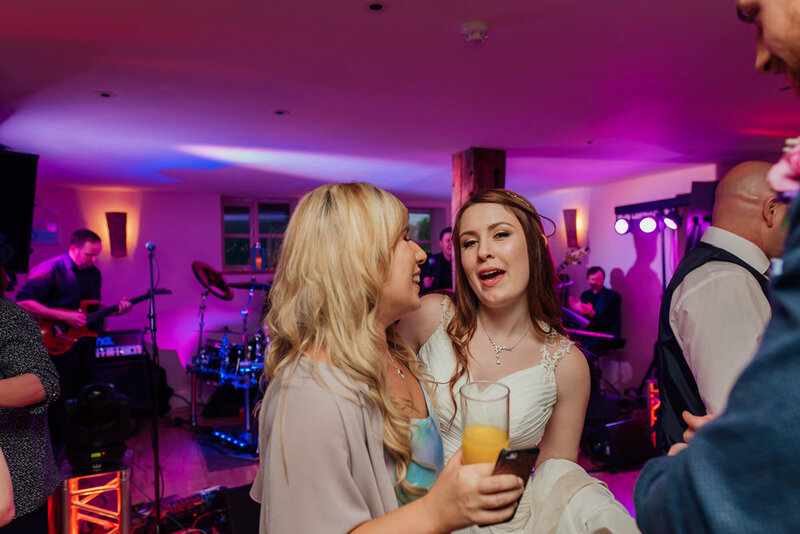 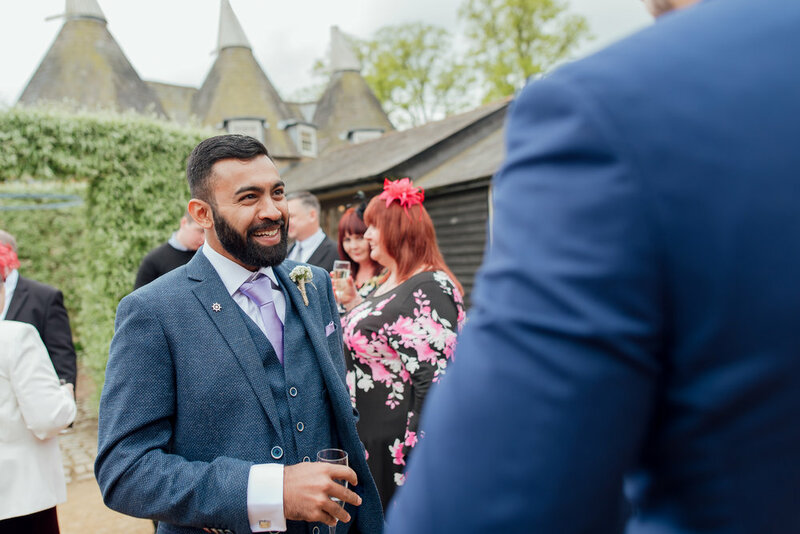 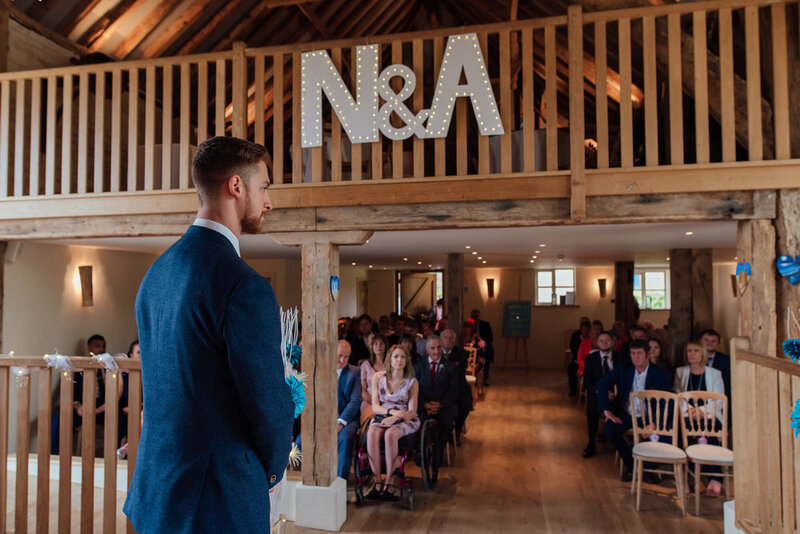 My first visit to Bury Court Barn was when I met Nicole, Anthony and their parents in the build up to the big day, and the staff couldn't have been more welcoming. 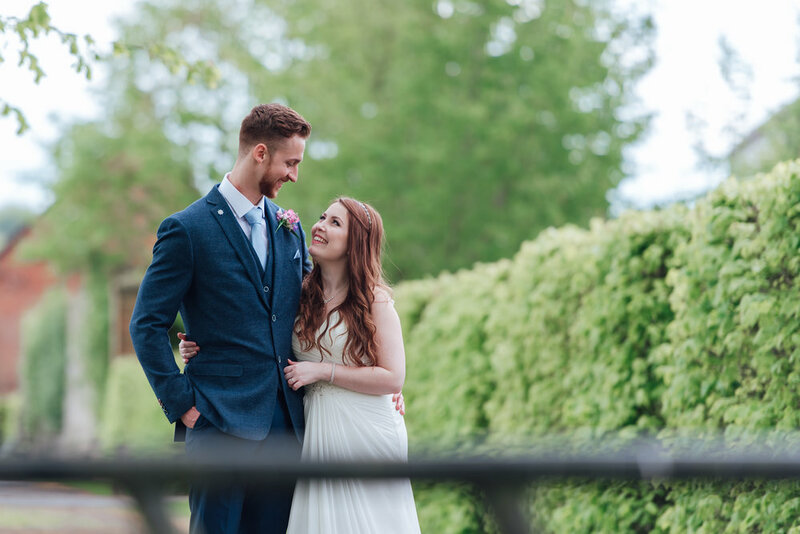 After being plied with coffee and biscuits in the pretty tea room, we headed out for a little wander round the walled garden and the fields beyond. 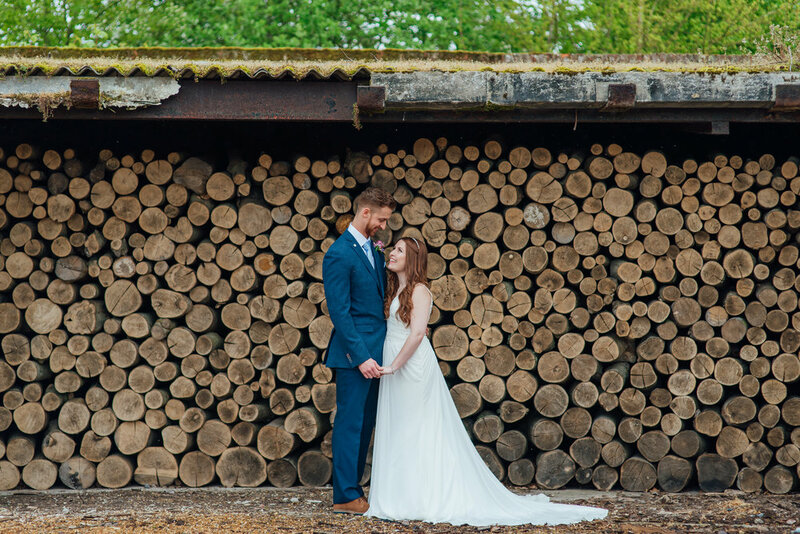 I knew we were going to be spoiled for choice when it came to choosing locations for photographs on the wedding day! 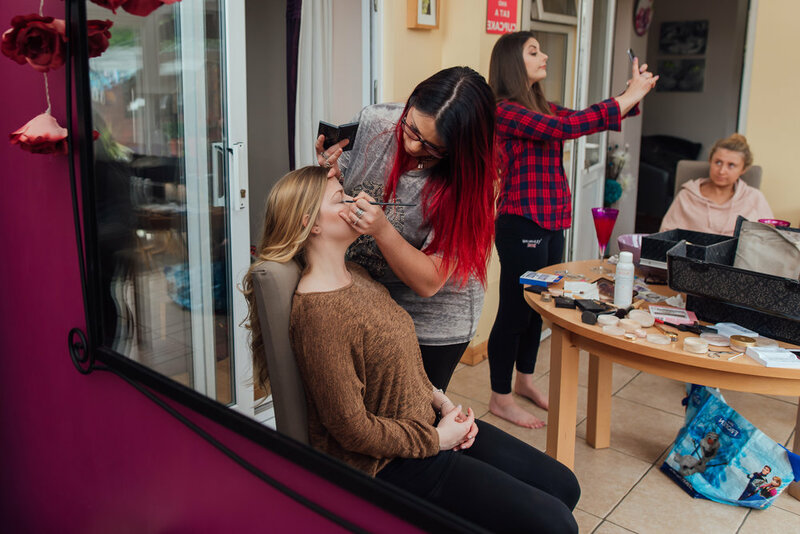 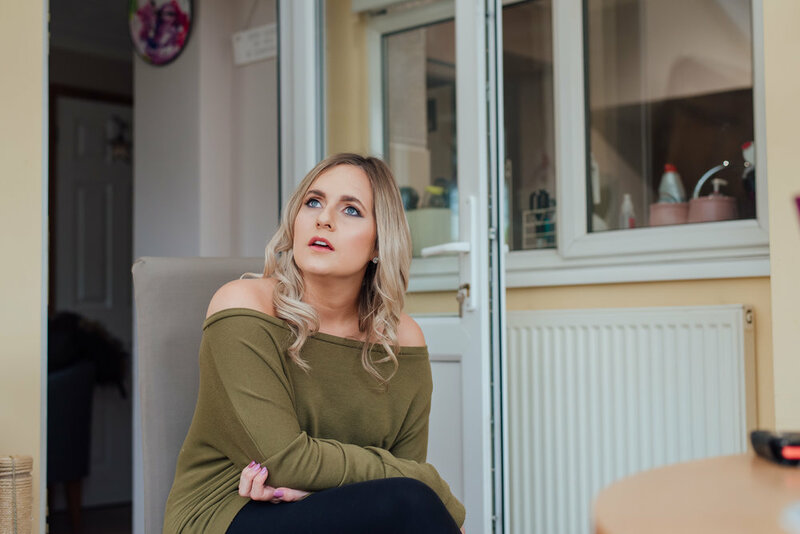 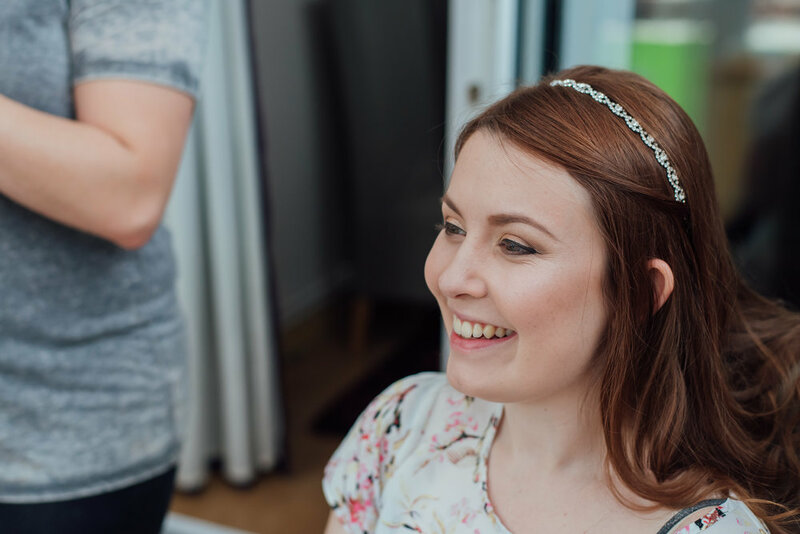 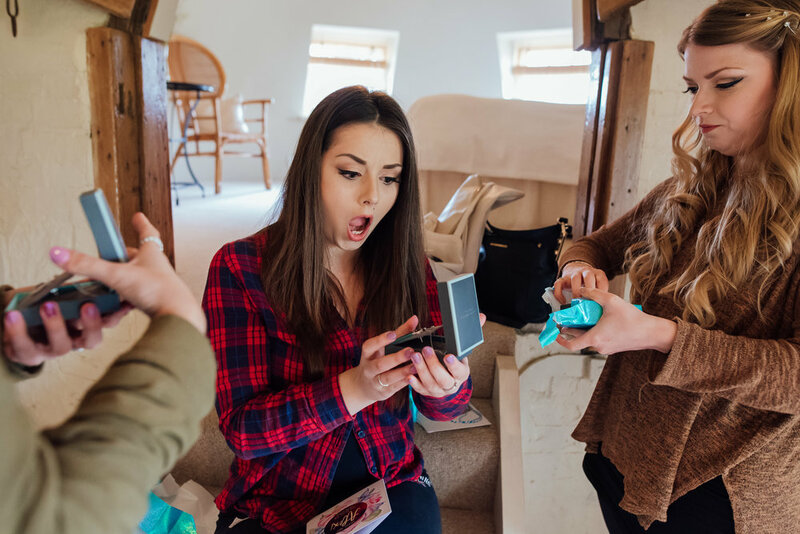 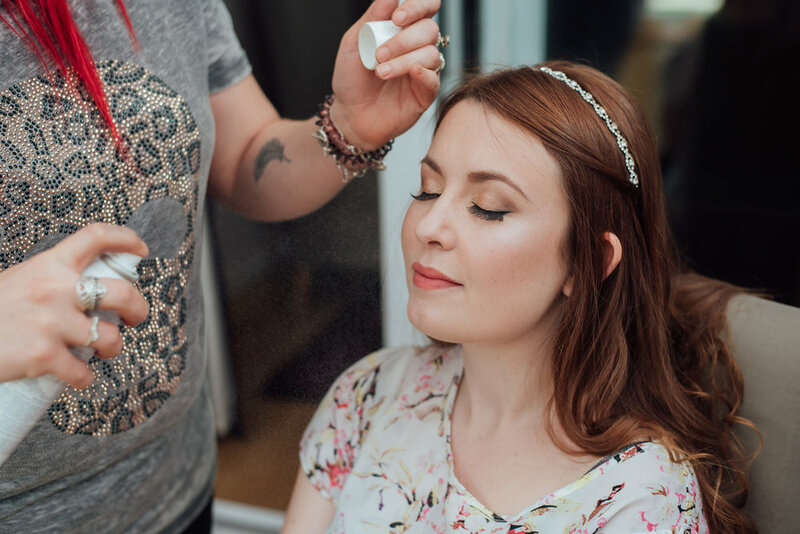 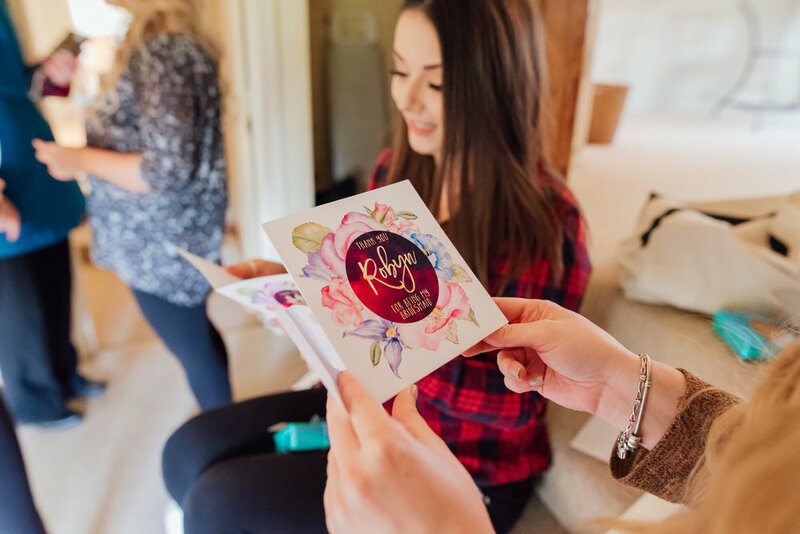 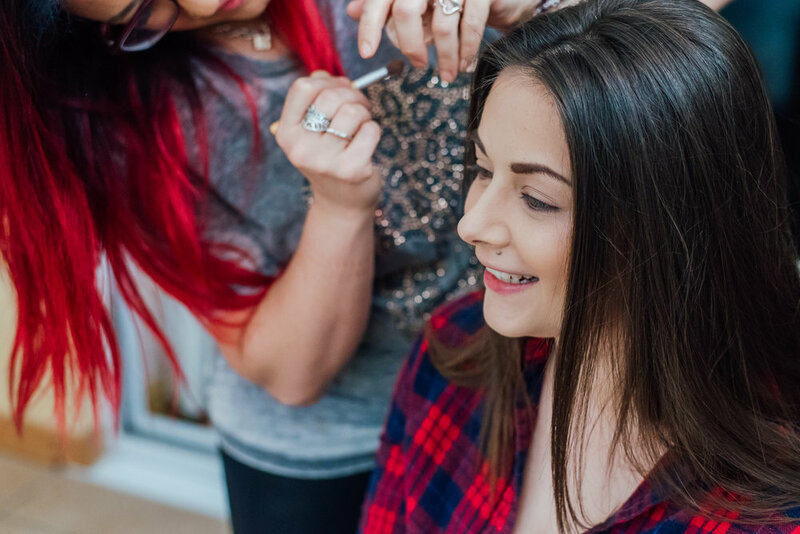 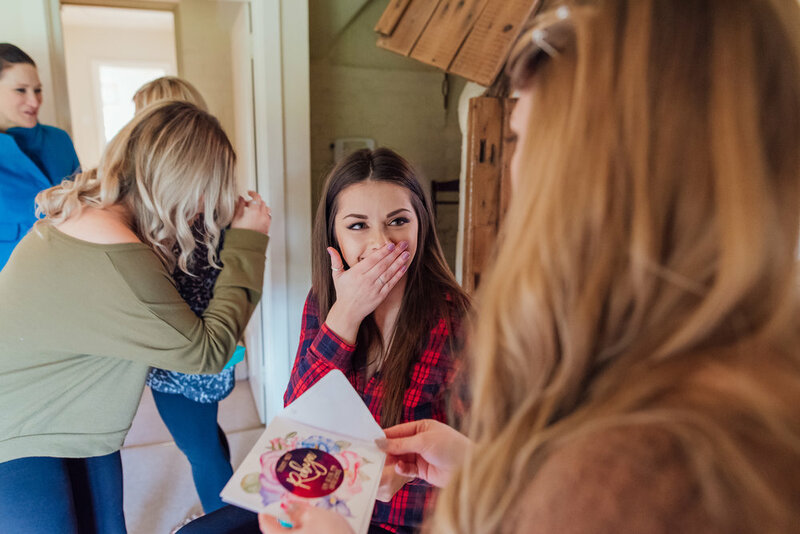 Nicole started getting ready for her wedding at her parents home, with her Mum, Dad, Nan, Sister and Bridesmaids all sharing this special morning with her. 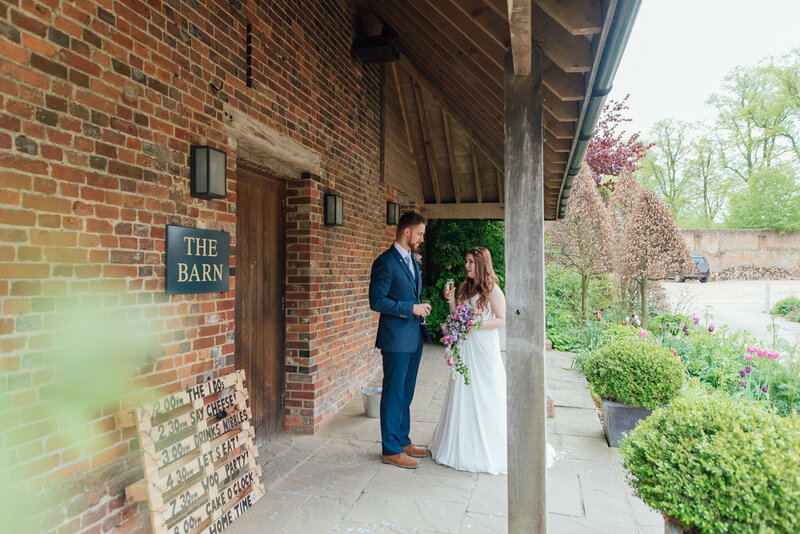 Once hair and make up were finished, it was off to Bury Court Barn for the finishing touches. 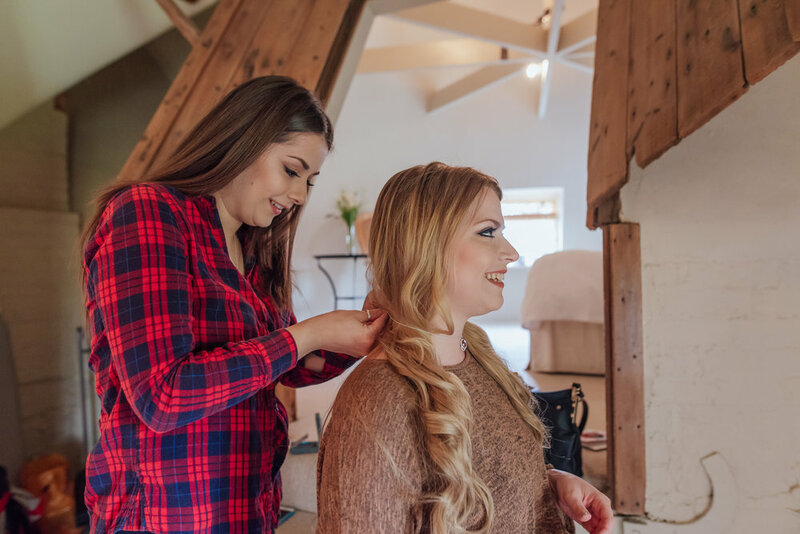 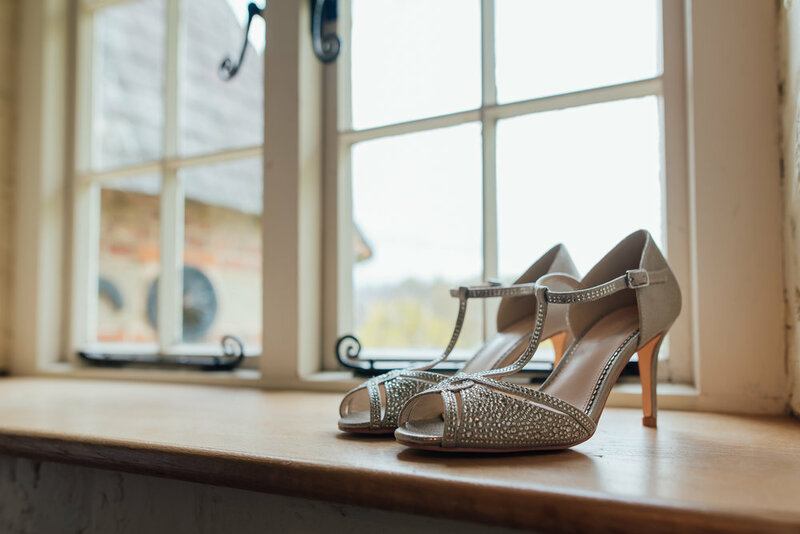 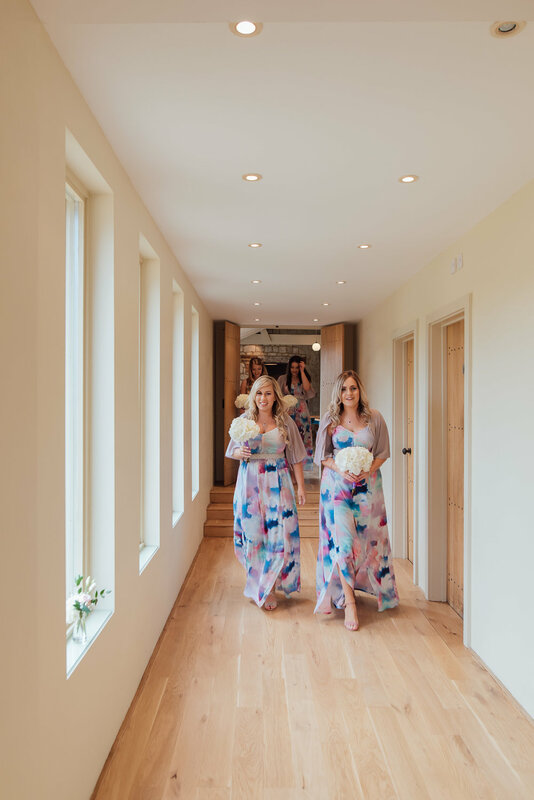 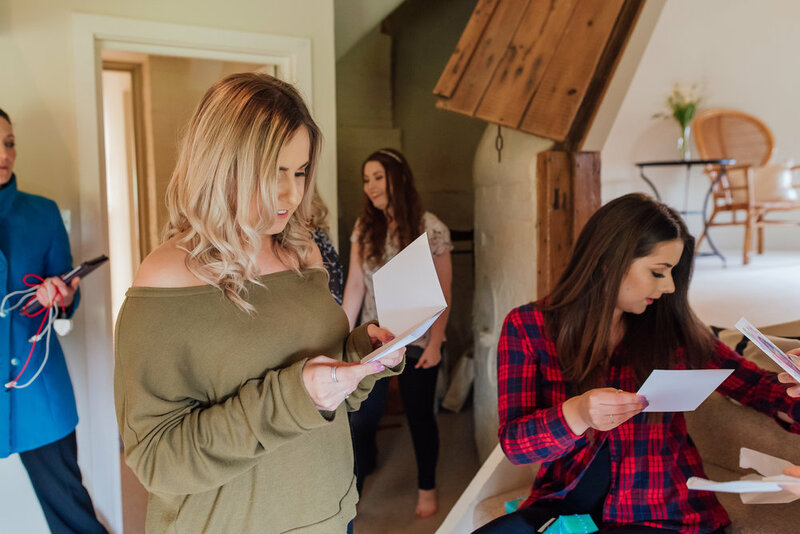 The Oast Cottage is a lovely place for the ladies to finish getting ready - with plenty of space for everyone to get dressed, as well as being able to peep out the window at the arriving guests, it really made the air buzz with the anticipation of the day ahead. 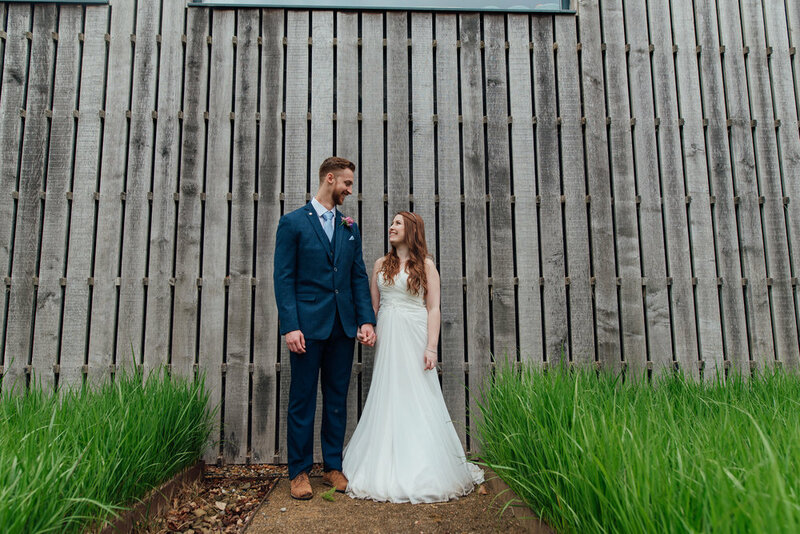 Nicole and Anthony were married in the barn, in front of their delighted friends and family. 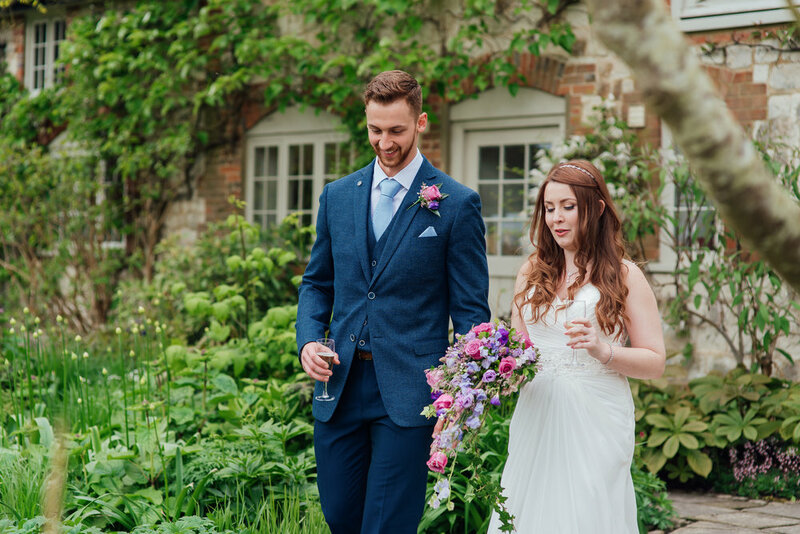 They made their exit to a flurry of confetti, before joining everyone in the pretty walled garden for drinks and canapés. 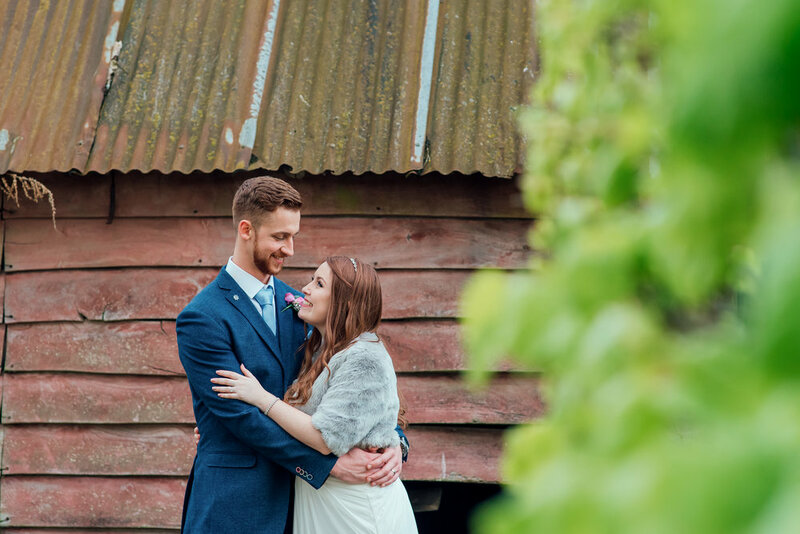 A quick shower of rain sent everyone back inside for a short while but, luckily for us, the sun burst through again just in time to take some lovely photos of the happy couple, in the grounds of the Barn. 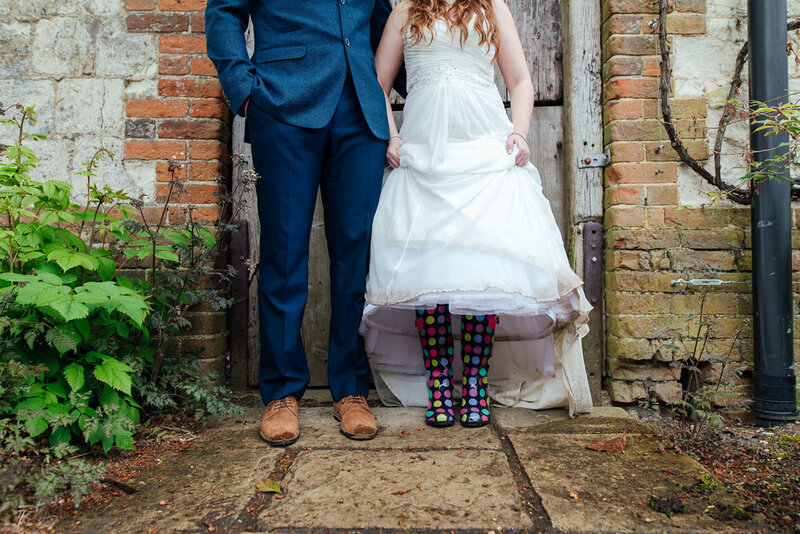 The wellies did come in handy though! 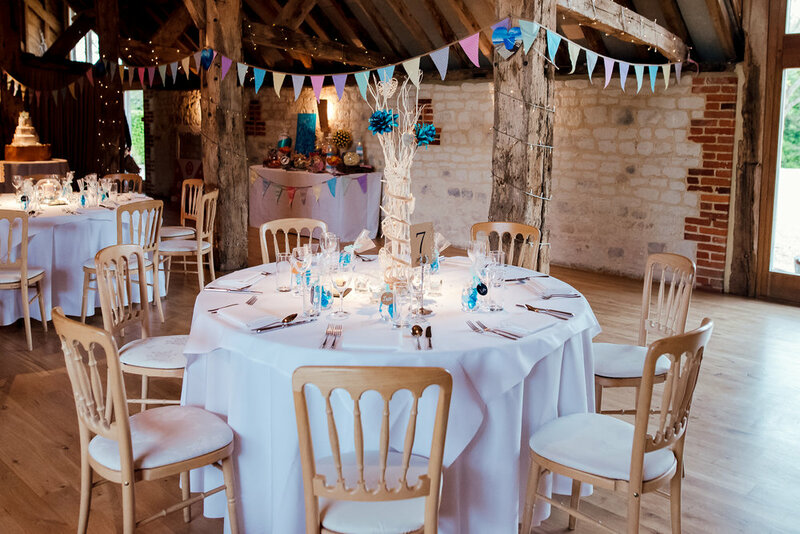 The lovely thing about Bury Court Barn Wedding Venue, is that the barn can be divided up with long curtains, meaning that the guests had a real , 'Wow!' 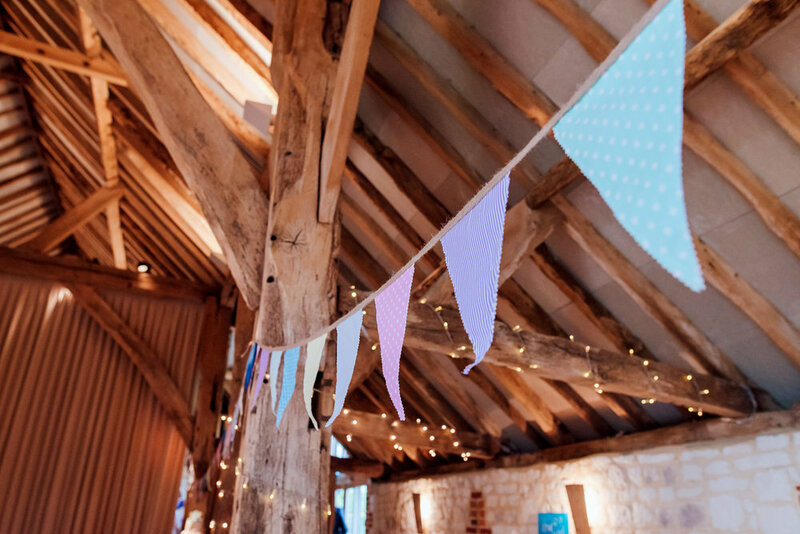 moment when the curtains were pulled back and they saw the barn all set up for the wedding breakfast. 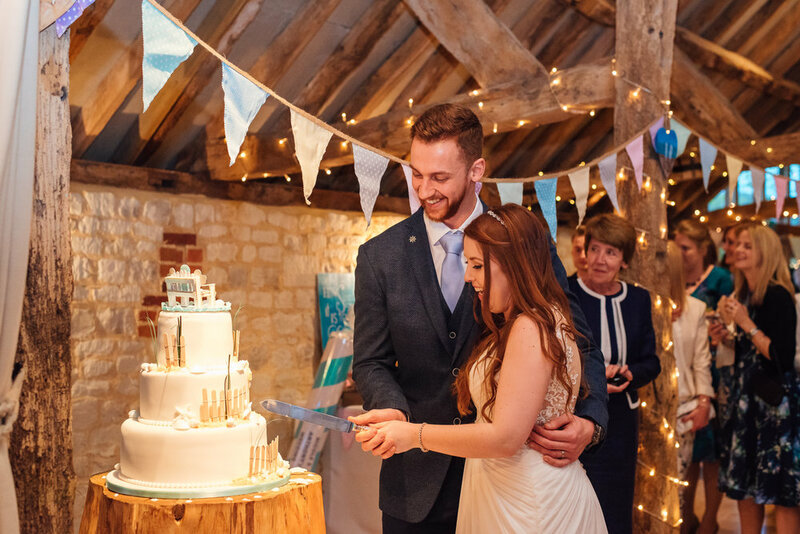 The tables all had a subtle seaside theme to them, along with the beach hut table plan and fabulous, seaside themed wedding cake. 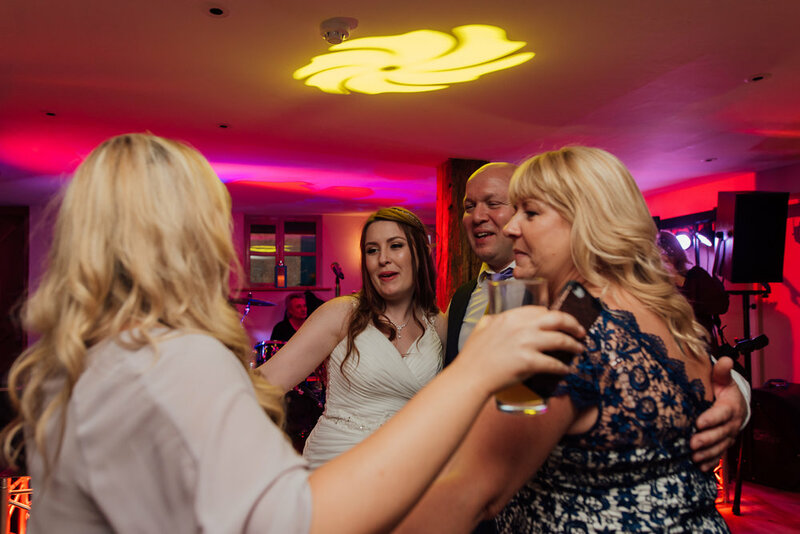 Once dinner and speeches were over, the guests had the chance to show us their best moves, while the band played into the evening. 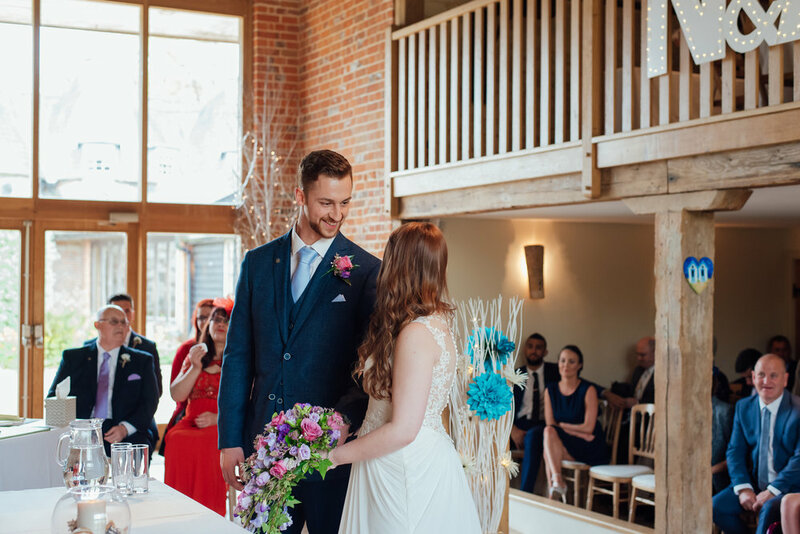 I think it's safe to say that a fabulous day was had by all! 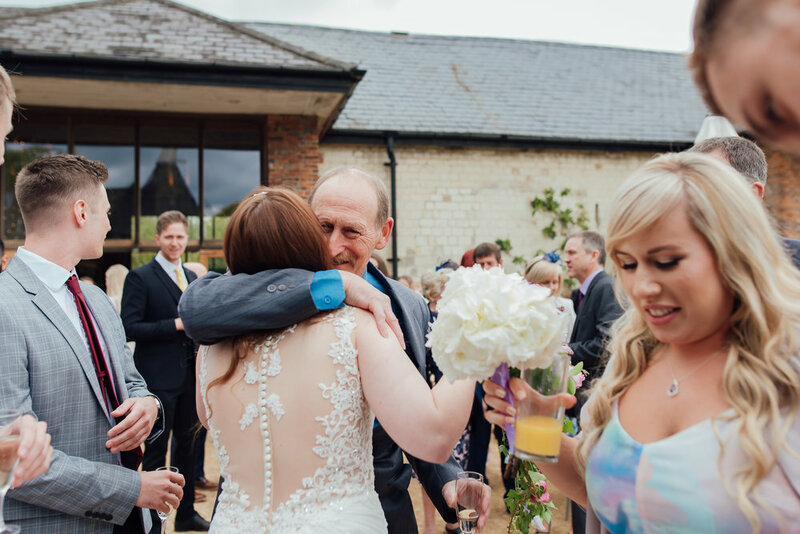 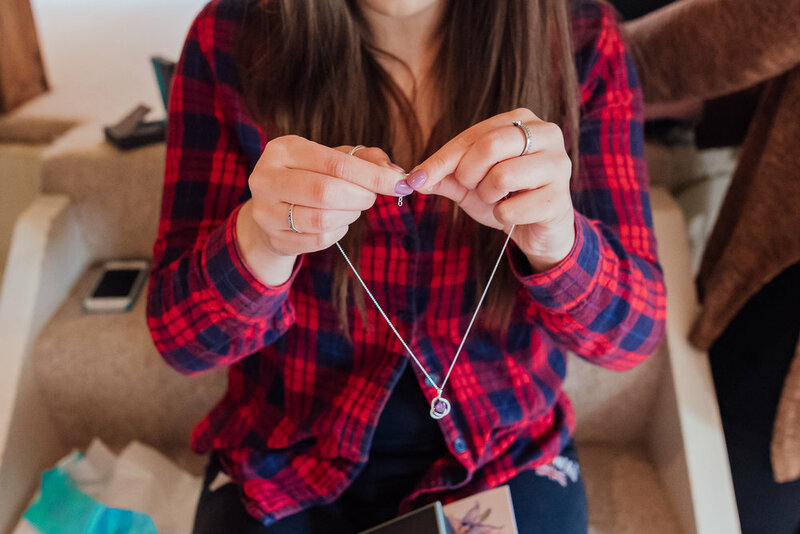 Photography by Sarah Fishlock of Amy James Photography. 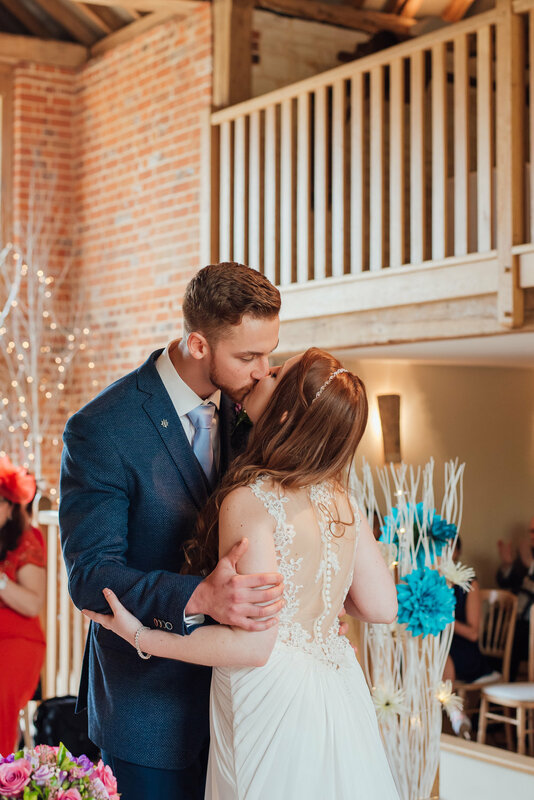 Wedding Photographer Hampshire. 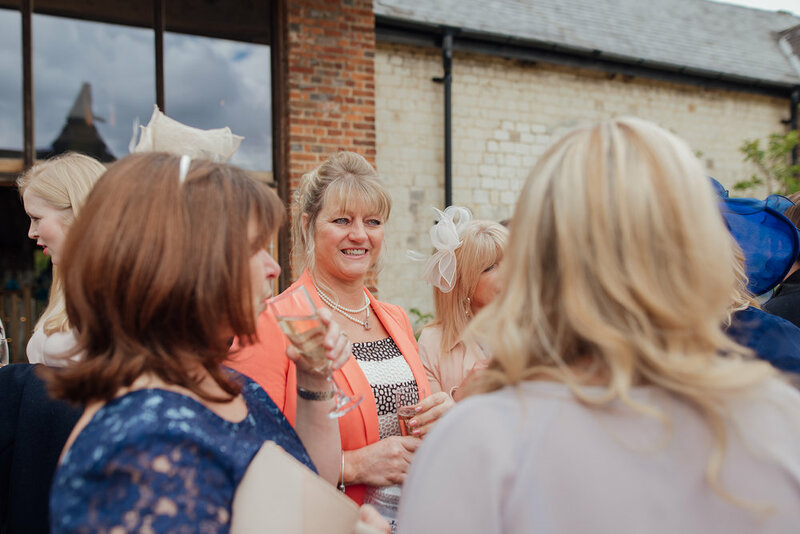 Thanks to Annabel Farley photography for second shooting. 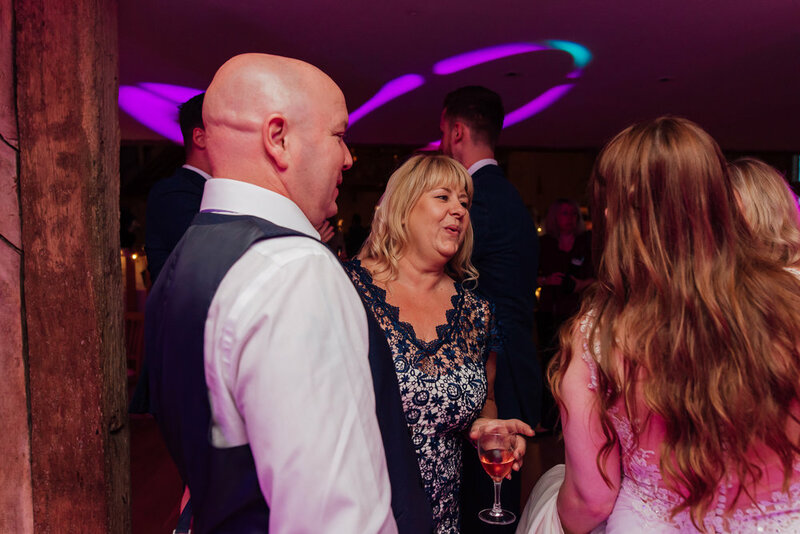 Wedding cake, dancing and evening fun! 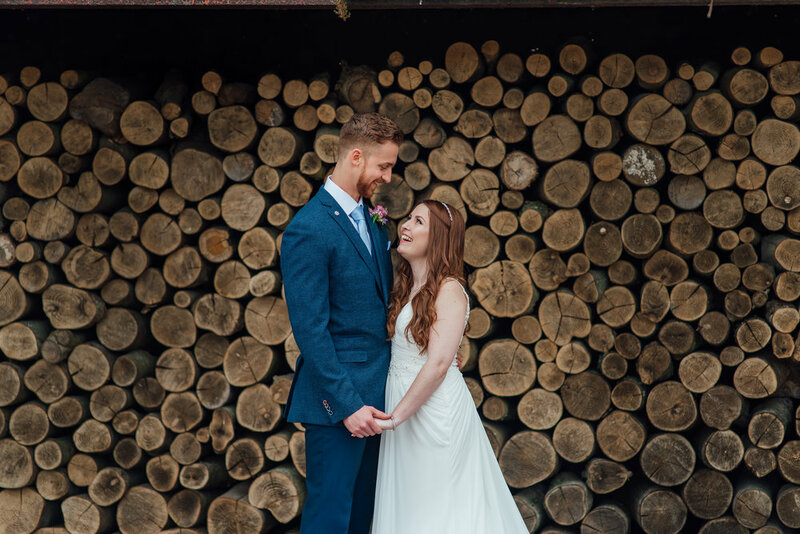 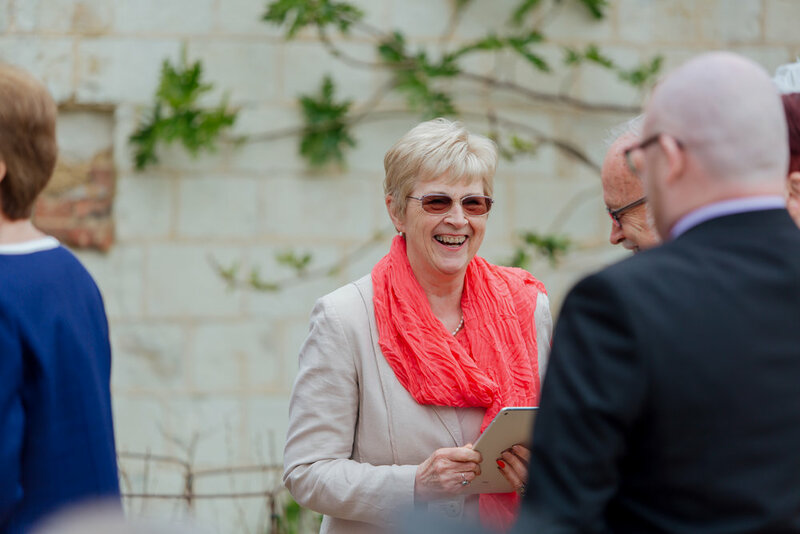 If you would like some more information about booking Sarah to photograph YOUR wedding day, please click HERE to get in touch!